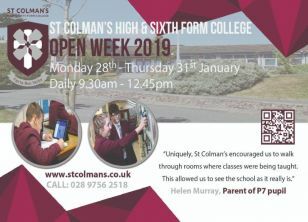 St. Colman's High School & Sixth Form College, Ballynahinch, is a co-educational school that caters for pupils aged 11-18. 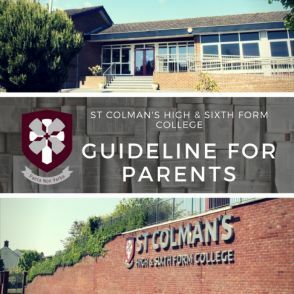 We have over 500 pupils on roll which includes a thriving sixth form. 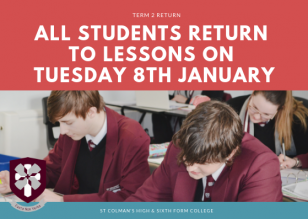 We offer a broad range of subjects at all Key Stages including GCSEs and Post-16 qualifications including A Levels, Applied courses and BTECs. 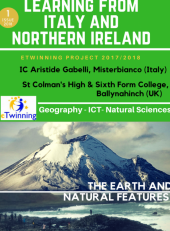 Pupils come from surrounding area: Ballynahinch Crossgar, Dromara, Downpatrick, Castlewellan, Loughinisland, Lisburn and Belfast. Staff are committed to meeting the needs of every child both pastorally and academically. We meet the needs of all children by securing strong partnerships with Parents and the Community. This philosophy is our path towards excellence in education with outstanding examination results. This booklet is to help you understand how the school attempts to establish the best conditions for all students to succeed and enjoy school. 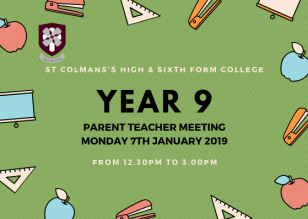 Pupils from other schools are welcome to join us in 6th form. 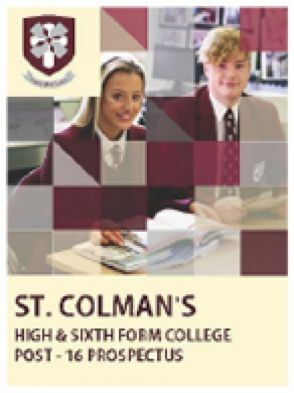 Click the prospectus above to find out more and visit our 6th Form College. 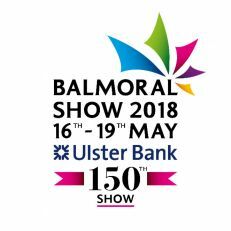 Please see our Whole School. 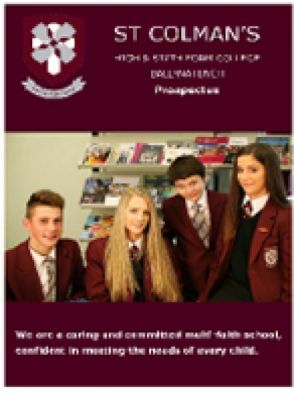 Click the image of the prospectus image to view as PDF.